Chinese forces had in November 2008 destroyed some makeshift Indian army bunkers at the same place - Doko La, a place at the Sikkim-Bhutan-Tibet tri-junction. Chinese troops crossed the Sikkim border and destroyed two make-shift bunkers of the army, reports the Press Trust of India. The face-off in the remote area lasted 10 days, said the news agency, adding that "the Indian troops had to struggle hard to stop the Chinese personnel from advancing further into Indian territory." Indian soldiers according to Press Trust of India "formed a human wall along the Line of Actual Control (LAC)" to block the Chinese troops from progressing further into the region. Pictures and videos of the stand-off exist, according to the report. A meeting was also held between senior army officers of both the sides on June 20, but the tension still continues. Chinese forces had in November 2008 destroyed some makeshift Indian army bunkers at the same remote place -Doko La, a place at the Sikkim-Bhutan-Tibet tri-junction. 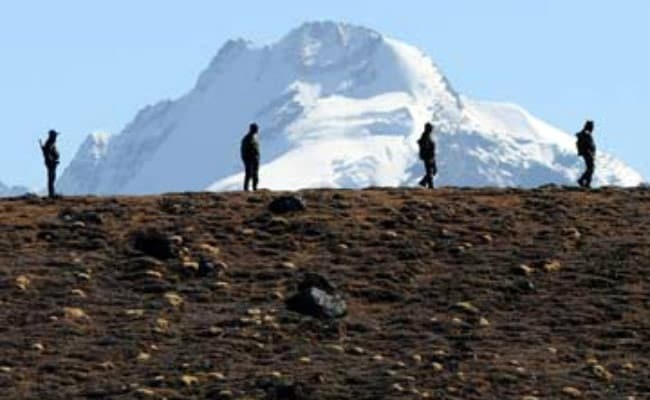 China has also refused to let Indian pilgrims undertaking the Kailash-Mansarovar Yatra from crossing the Sikkim border to visit Mount Kailash in Tibet. The journey is of religious and cultural significance for Hindus, Jains and Buddhists and in 2015, China agreed at Prime Minister Narendra Modi's request to let Indians access the mountain, considered the abode of Lord Shiva, through Sikkim, which is a relatively easier route than through a pass in Uttarakhand. The pilgrims were kept waiting for nearly a week at the border after which they returned to Gangtok, the capital of Sikkim. China allegedly said that landslides meant they could not transport the pilgrims in buses on its side of the border. India and China have been unable to resolve their border dispute after the 1962 war. China claims Arunachal Pradesh as South Tibet, and has been told repeatedly by Delhi that the north-eastern state is an integral part of India. Delhi says Beijing has occupied its territory in the Ladakh plateau. Both sides have held nearly 20 rounds of border talks since the early 1990s, with little progress. Small incursions are common across the Line of Actual Control, the de facto border that runs some 4,000 km (2,500 miles) across the Himalayas. Recently, China objected vehemently to India allowing the Dalai Lama, the 81-year-old spiritual leader of millions of Tibetans, to tour Arunachal Pradesh. Beijing is also upset with India rebuffing its major Belt and Silk Road initiative, which is designed to connect China to the rest of Asia through land and sea corridors. India chose not to attend a summit earlier this month in Beijing which saw representatives from nearly 60 countries including the US gather for details of the project.